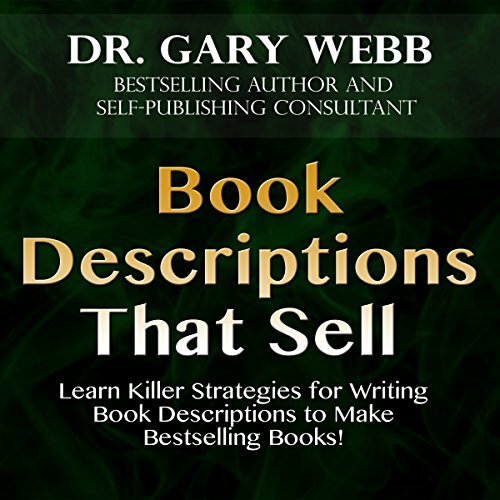 Learn killer strategies for writing book descriptions to make best-selling books! Do you know the 12 proven steps to write book descriptions to make your book sell? Nonfiction authors often neglect being creative when writing book descriptions. They imagine that the great content inside the book will make it a success. What a joke! You'll have more initial sales of your books than you would have had without it. You will have fewer bad reviews because your readers will know in advance what they are getting. You will understand your competition and write better descriptions than they have. You will attract more readers/listeners to your book page through the words included in the description. You will learn how to close the sale through an effective call to action. Look at the book descriptions on Amazon! Most of them are poorly organized and unattractive. Most don't answer the most important question: "What's in it for me?" This book is your first step in mastering the fine art of book descriptions that sell. This book will pay for itself by helping you with your book promotion and sales. It will also help you to write those short blurbs that most promotion sites want. It will help you know what to say on the back of your printed books. What can I say? You NEED this book! This book has valuable information about writing great book descriptions and finding key words to sell your self published KDP book. It has helped me a lot.